If you need the help, advice and management skills of a pay per click expert specializing in drug marketing, then you have come to the right place. 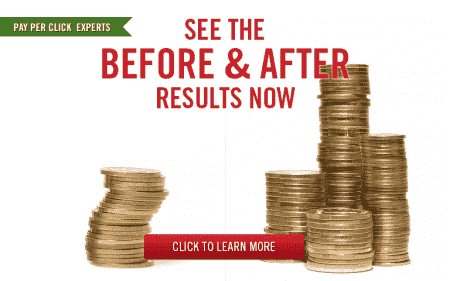 Webrageous is a leading expert in pay per click advertising for pharmaceutical companies. What is even more important to highlight is that the drug marketing experts on our dedicated team of staff have been working together over the past few months to further develop even more effective ways in which to optimize, evaluate and manage the Google AdWords campaigns belonging to our drug marketing clients. Our innovative approach to drug marketing via pay per click means that our drug marketing clients now see an increase in conversions, an improved return on investment each month and a clear sense of direction that indicates even more ways of improving the optimization of their campaigns to generate further success. The idea that there is a secret to effective drug marketing is really just wishful thinking on the part of the pay per click advertiser. There are no real tricks, magical actions or hidden approaches behind the successful marketing of pharmaceutical companies online. The “secret” to drug marketing is experience. With experience comes knowledge and with knowledge comes tried and tested solutions. Webrageous can lay claim to many years of experience in drug marketing via Google AdWords. As the industry has developed, the online marketing team at Webrageous has developed too. Thanks to this continuous development, our pay per click managers know how to manage and optimize drug marketing campaigns to produce the best possible results in the quickest time-frame possible. The pay per click management team is not made up of magicians or tricksters, offering unbelievable answers to online advertising issues. It is a team comprised of hard-working, dedicated individuals, with lots of experience and professional qualifications in the industry. As the pay per click management world develops, so do the approaches taken at Webrageous. However, at present, if your pharmaceutical company needs help in the management of its drug marketing pay per click campaigns, Webrageous can promise to drive traffic and improve the results of those campaigns by following through with the following methods. A focus on the use of Display Network Marketing to engage the potential customer who happens to be investigating into symptoms they are experiencing. When the online user researching a disease that they have just been diagnosed with comes into contact with the drug marketing pay per click advertisements that we run on the Display Network for our various clients, we are able to drive these people to informational websites about new drugs that our clients are offering. From here, conversions occur when these potential clients make appointments with their doctors about the information that they came into contact with and when they ask their doctors to prescribe them one of the new drugs that they have been researching into. However, the most important characteristic of the pay per click management that we provide for our pharmaceutical advertising clients is that we have ways of tracking whether or not our pay per click marketing efforts are working or not through several novel online marketing management approaches. What sets Webrageous apart from other drug marketing pay per click management companies? Why choose Webrageous as your drug marketing Google AdWords expert? Webrageous marketing experts are able to tie new prescriptions to how much our drug marketing clients spend on their Google AdWords campaigns. This means that with our help it is possible to see the relationship between the amount of money you invest in your online advertising and the number of prescriptions you achieve thanks to that marketing. If you think that this is a simple affair, you are very much mistaken because very few other marketing companies know how to do this. Webrageous’ ability to be able to track dollar for dollar the success of any given campaign is rare. The unique data that we are able to provide means that our drug marketing campaigns are able to view Google AdWords as a profit center instead of an added expense. Our data clearly reveals how many new prescriptions are written for a new or existing drug that is being marketed via the pay per click campaigns that we are in charge of. The methods mentioned above are particular to Webrageous. Very few pay per click management companies are able to do what we do for our pharmaceutical advertising clients. Our company works in a very specific and successful way. It is our unique approach to drug marketing pay per click that we believe is what makes our Google AdWords Management in this particular industry so effective.